You can order Juice Plus+ products and learn about how your child may qualify to receive Juice Plus+ for free by participating in the Juice Plus+ Children’s Health Study. Do I feel passionate about this product? Yes! Here’s why. Each morning I put a scoopful of Juice Plus+ Complete into my fruit and yogurt smoothie. Every day I take my Fruit and Veggie Juice Plus+ Capsules, and dole out Juice Plus+ to our kids in the form of chewables (soft) and capsules according to their age and taste. Then I go to my office and recommend the Juice Plus+ Children’s Health Study to the families in my pediatric practice. During the year following my surgery, I read volumes about nutrition, subscribed to every nutrition journal I could find, put together a collection of over 500 file folders about food, and became what my friends tagged a “health nut.” About three months into my new style of eating, I noticed some amazing changes. My energy level skyrocketed, prompting my wife Martha to call me “Zip.” We stepped up our ballroom dancing and even beat some of the younger couples in the swing contest. My mind was working better, too. I just plain felt good all over – mind and body – and finally learned what it is to experience real well-being. Too bad I had to get sick in order to learn to eat right instead of eating right to keep from getting sick. Juice Plus & Vitamins While Pregnant & Breastfeeding? Why was I feeling so good? The answer seemed clear: I was putting the right fuel into my body that made it run better. At that time – as a father of eight, author of many books, and a pediatrician at the peak of his career – I was going to do everything I could to keep my health up and not let the cancer reoccur. Talk about motivation! As I studied the parade of supplements out there, I concluded that whatever supplement I take must have good science and make good sense. That’s how I came across Juice Plus+. 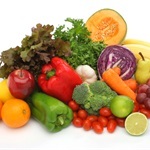 It had good science behind it and made good sense – a whole food-based supplement! Whole foods, a bunch of the healthiest fruits and vegetables, were juiced and dried as close to the fields as possible to maintain the highest possible level of nutrition. These nutritious juice powders are then put into capsules and chewable tablets! Intrigued by this concept of packaged phytos, I realized that my life depended upon eating the right foods and taking the right supplements. So I did my life-saving detective work. While visiting the company where Juice Plus+ is made, I saw firsthand the care and quality that went into this product. In examining their independent clinical research, I discovered that researchers had measured the blood levels and found that disease-fighting “phytos” go way up after taking Juice Plus+ – and they had published their results in peer-reviewed medical journals. This was a vital discovery since it’s not what’s on the package label that’s important – it’s how much gets into the body. Finally I grilled the company executives, and they were honorable people. The combination of good science, good sense, and a reputable company convinced me that this would be my supplement of choice. Since taking Juice Plus+ daily and following an overall healthy eating and exercise program, I have not even had so much as a cold; even though my wonderful little patients share their germs with me every day. 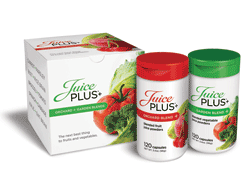 The parents of children who are sick a lot often thank me: “Since my children have been taking Juice Plus+ they haven’t been sick as often.” Juice Plus+ is now the only whole food based supplement I take. I’m pleased to recommend the joy of taking Juice Plus+ to everyone who takes their health seriously. I am very excited about Juice Plus+ and have seen the benefits in myself and my children. Start your family on Juice Plus+ today and see the benefits over a lifetime!